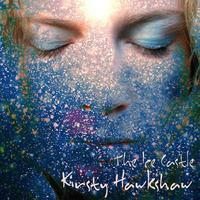 Kirsty Hawkshaw : The Ice Castle. In her extraordinary career, Kirsty Hawkshaw has collaborated with some of the world's top electronic artists including Delerium, BT, Orbital, and DJ Tiesto. Her latest album is a sublime work of ambient electronica that reflects a serenely modern sensibility and a quietly cosmic perspective on the genre. Her foray into ambient started in the 90's with "Pulusha," a collaboration with Global Communication's Mark Pritchard, and her talent has been evolving ever since, resulting in an incredible piece of minimalist heaven. License Ambient electronica by Kirsty Hawkshaw for your project. Play the music of Kirsty Hawkshaw in your restaurant or store.